This buffalo skull is perfect for adding a rustic feel to your home decor. Displayed upon a metal stand to offer a distinctive presence. 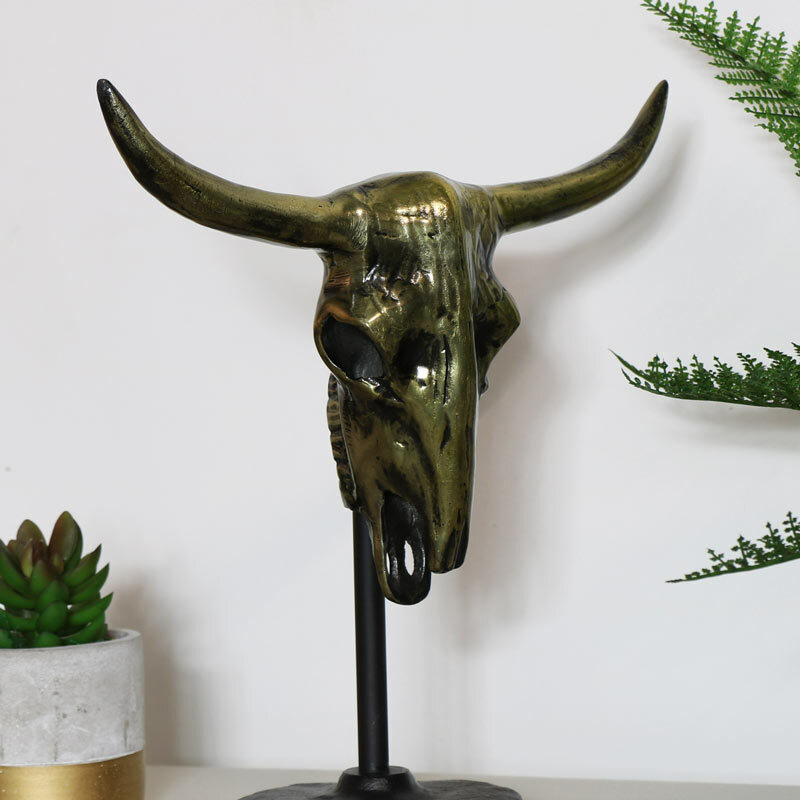 The skull comes in a bronzed finish with realistic features and is a much more animal friendly way to add that fell of nature to your home. A great way to make a statement and a funand quirky gift idea. This buffalo skull is perfect for adding a rustic feel to your home decor. Displayed upon a metal stand to offer a distinctive presence. 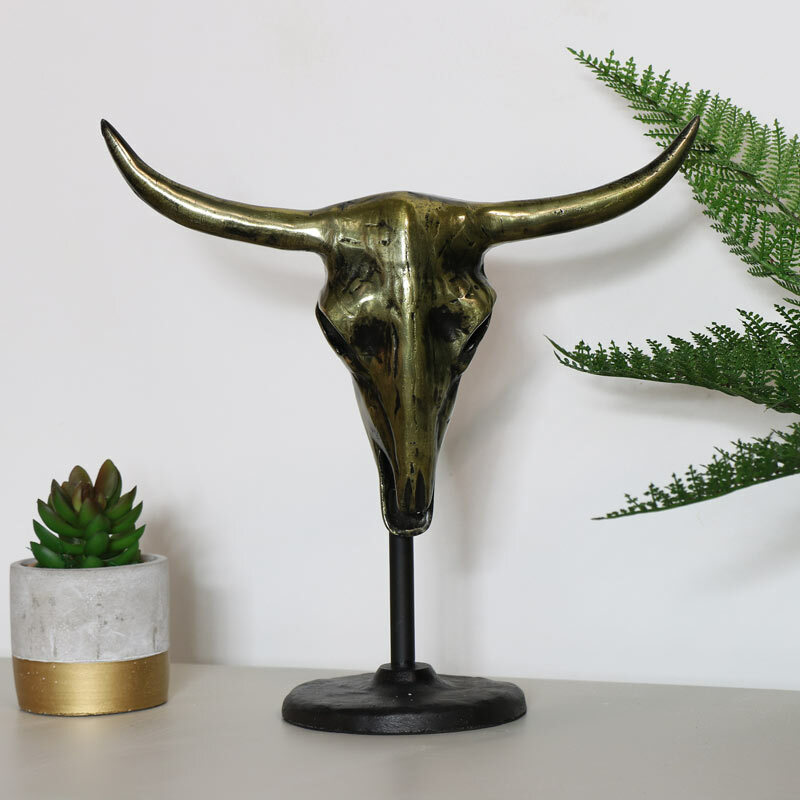 The skull comes in a bronzed finish with realistic features and is a much more animal friendly way to add that fell of nature to your home. A great way to make a statement and a funand quirky gift idea.